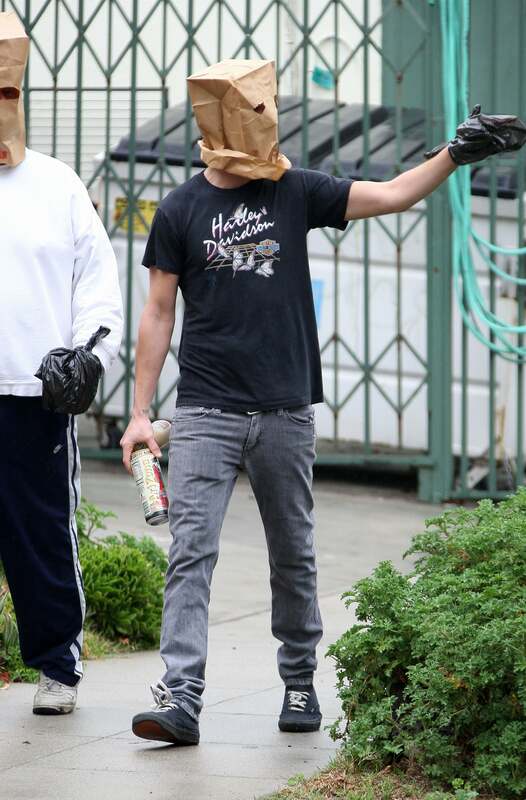 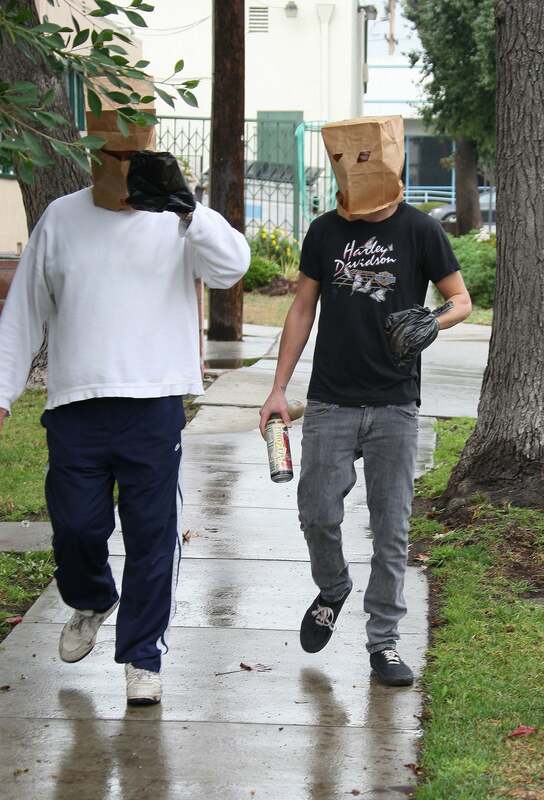 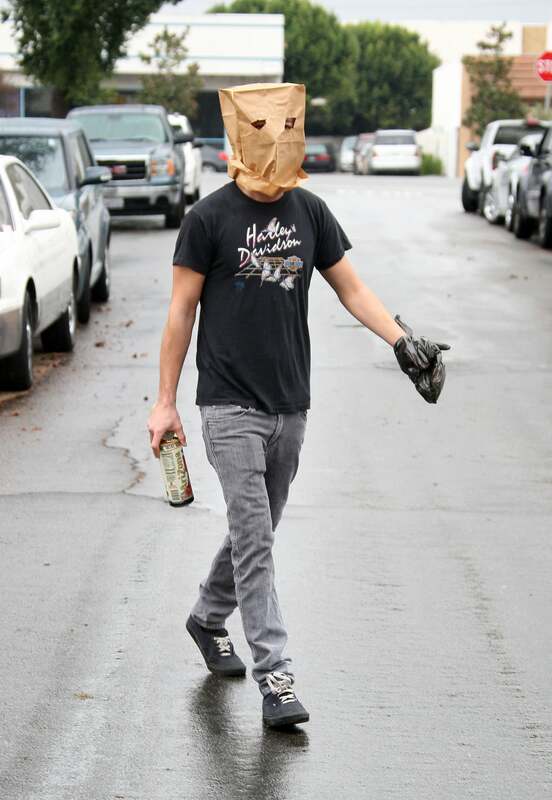 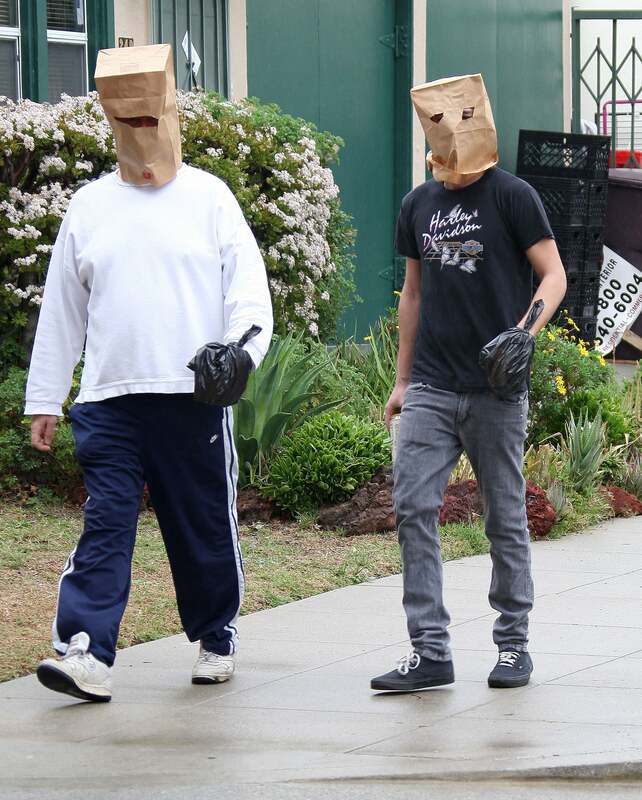 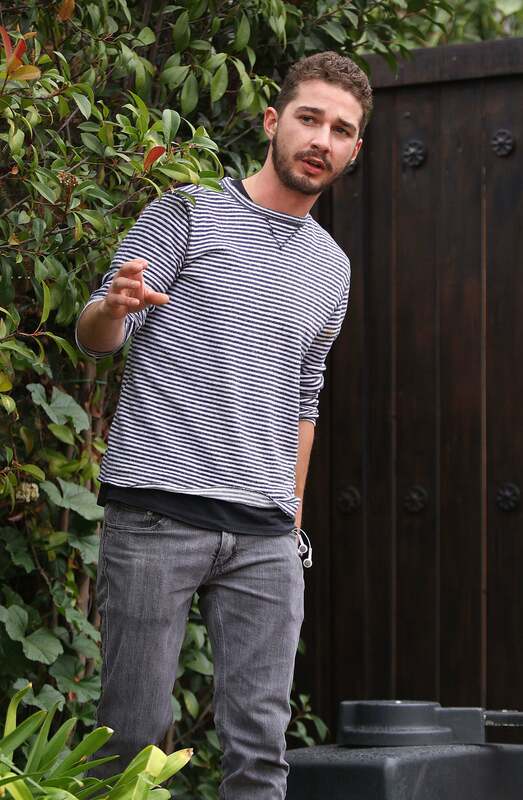 Shia LaBeouf wasn't in the mood to have his photo taken yesterday morning, so he decided to wear a homemade mask for a walk around the neighborhood. 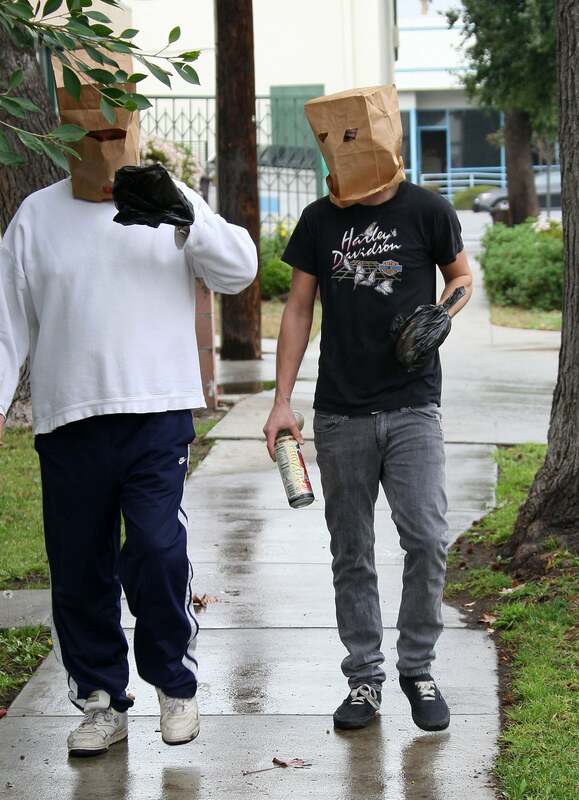 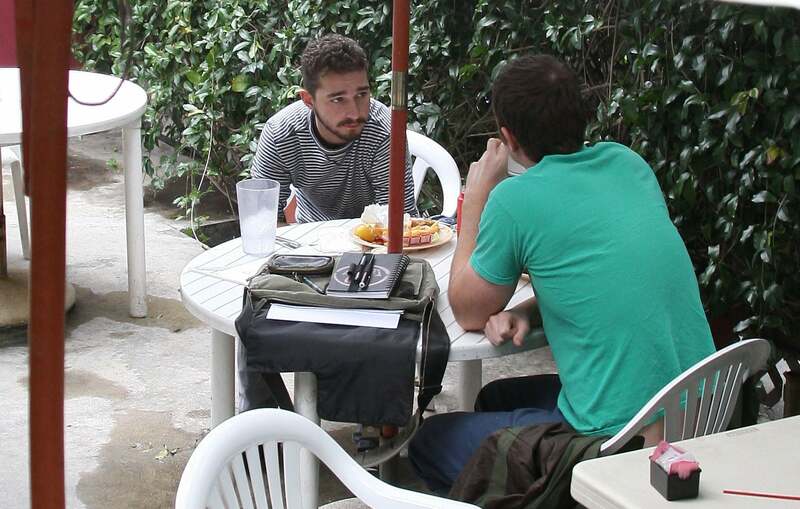 By the afternoon he ditched the ugly paper bag to grab a cheeseburger with one of his buddies. 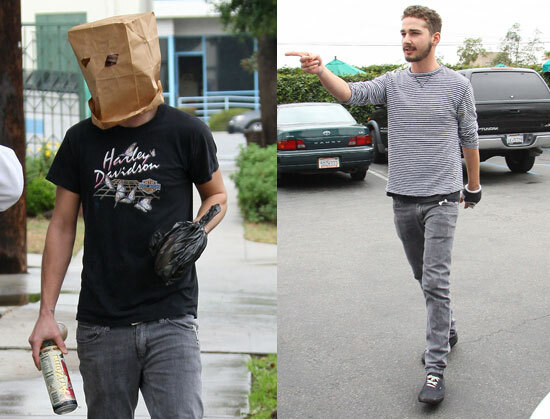 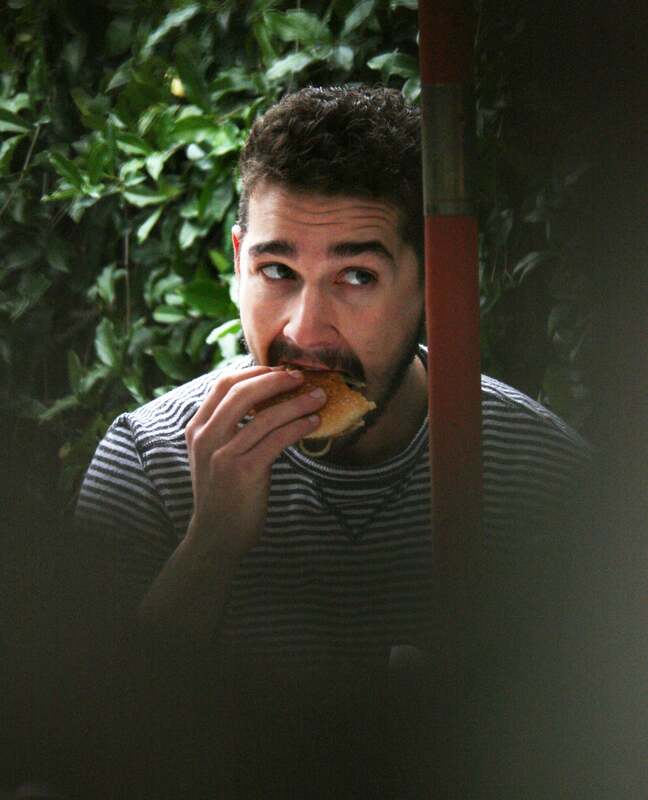 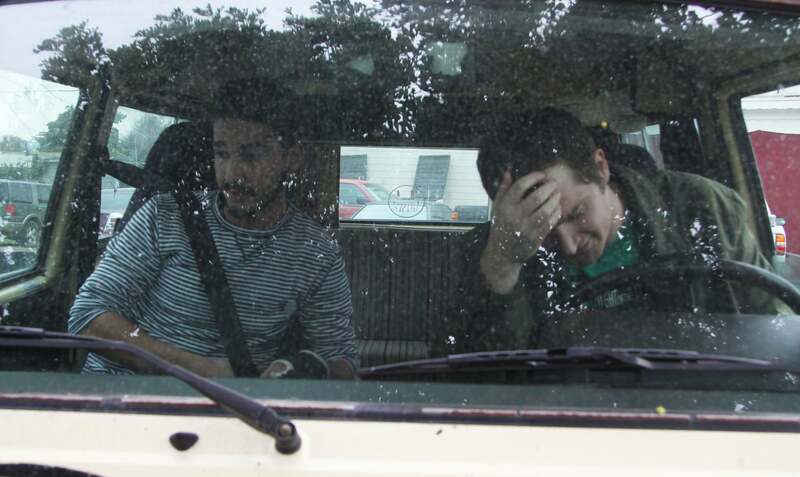 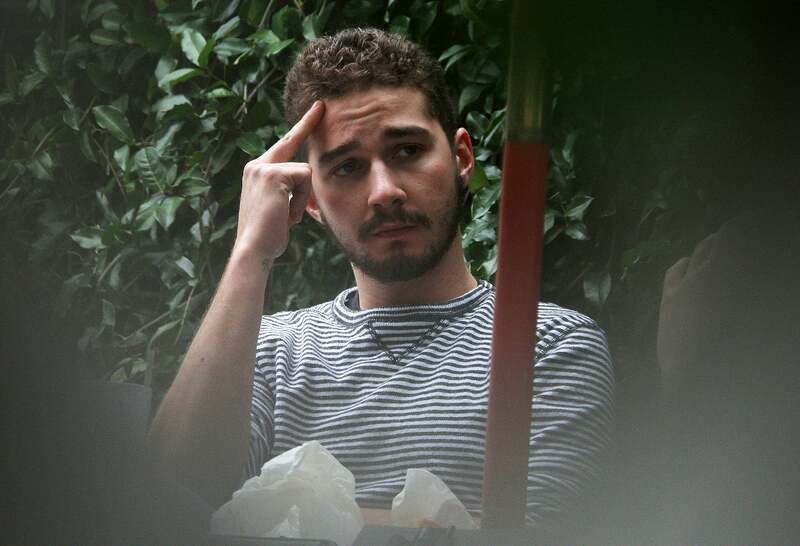 Seems like Shia hasn't been in the best of spirits since his license was suspended, but we're happy to see that he's got plenty of pals to keep him company — and chauffeur him around town.